Umbrella strollers are becoming more and more popular among parents as a primary and a secondary baby carriage. They are perfect for families that are constantly on the move because these strollers are very compact when folded and they are easy to carry around. Umbrella strollers will not take a lot of space in your car and some of them can even go into a plane as a part of your luggage. If you tend to be on your feet a lot throughout the day and your youngster often accompanies you on your long walks, Maclaren Triumph stroller might be the right model for you. It weighs only 10.8lb and it can be easily folded or unfolded by using only one hand. The seat itself can be reclined and it is very cozy with enough depth. A large canopy is set on the top of the stroller and it offers protection from UVA and UVB rays, as well as from wind and rain. Maclaren Triumph is a well-rounded stroller that has a spacious storage space underneath the seat. You can place a medium-sized bag there, but having access to it might be a bit difficult when the seat is fully reclined. The handlebars are very soft and well padded, but there is no cup holder on the side. The entire seat can be detached from the construction and cleaned easily. It is made for children who are older than six months so it is not a stroller for infants. It is a safe carriage that is really well-built and sturdy. The Maclaren Triumph MSRP is $225, but check the current Maclaren Triumph – Amazon price. Read the full review for Maclaren Triumph. Recaro Easylife stroller looks very sporty and modern but what makes it stand out is the fact that it is super compact and small once it is folded. Additionally, it can stand on its own without being propped against a wall or placed down on a flat surface. This stroller weighs 13lbs and the folding mechanism works like clockwork. Once you pack it up, an automatic lock will be engaged in order to prevent sudden unfolding. The storage basket can be reached even when the seat is reclined into a nap position which is great. The canopy is made of high-quality materials but it is placed a bit too high up so it might not offer enough protection to smaller children. It has mesh on the side, as well as a small window on top that will provide your little one with plenty of ventilation. The MSRP on this model is $250, click here to find the current Recaro Easylife – Amazon price. This stroller is ideal for frequent travelers because it can fit anywhere. Read the full review for Recaro Easylife. If you are looking for an excellent umbrella stroller that folds up into a small and compact travel bag, take a closer look at Babyzen Yoyo. As a matter of fact, this stroller may go onto an airplane with you as a carry-on bag. It can be folded up easily and carried around on your shoulder by using a strap. This stroller weighs 12.8 pounds on its own. It is suitable for children who are older than six months and the weight limit is 33 pounds. The seat is very cozy and it is padded well from all sides. The cushioning can be detached from the stroller and cleaned in your washing machine. It also has a leg rest which is helpful for tall children. Additionally, you can recline the seat with no trouble. Pushing this stroller is easy even though the wheels are on a smaller side and it will glide smoothly over flat surfaces. MSRP for the Babyzen Yoyo is $495 but check out the Babyzen Yoyo – Amazon price right now. It is the perfect stroller for families that live in smaller city apartments because it can be stored anywhere. 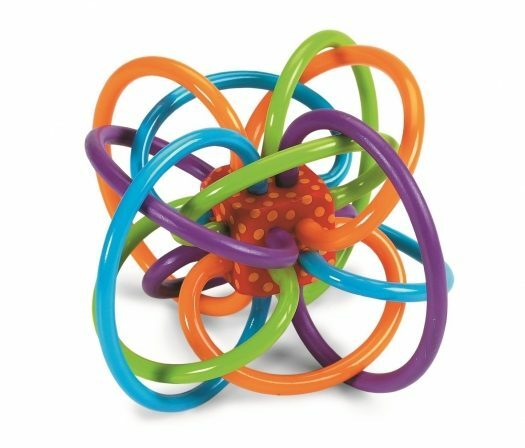 Read the full review for Babyzen Yoyo. Summer Infant 3D Lite is an exceptional umbrella stroller built from first-class materials. It weighs only 12 pounds and it can be quickly folded. The seat itself is cushioned and your youngster will feel warm and protected once you place him or her in the harness. It can be reclined into a napping position easily. The wheels are good-sized and made of hard rubber. This stroller has a medium sized storage basket and an additional pocket where you can keep your phone and keys. Keep in mind that the handlebars are high and cannot be adjusted to your height. The canopy will provide your child with enough shelter from the outside elements but it doesn’t have a peek window on the top which might be a deal-breaker for some parents. The MSRP is $94.99 but check the Summer Infant 3D Lite – Amazon price here. This stroller is very affordable when compared to other umbrella strollers and it can be an excellent secondary carriage you can use on a daily basis. Read the full review for Summer Infant 3D Lite. Chicco Liteway is definitely not the lightest option for an umbrella stroller because it weighs 17.2 pounds. However, it has numerous features that make up for that. The design looks really modern and it is sturdily built. The seat has five positions in total and the leg rest is adjustable. It is also suitable for infants so there is no age limit for this stroller. This is a really comfortable umbrella stroller that has enough seat depth. Additionally, you can use the lower boot in order to increase the coverage of your baby as well. The canopy will offer enough shade and it can be modified. This stroller will coast easily during your walks because it has excellent wheels. The front ones do swivel and the brakes are positioned in the back. With an MSRP of $140.00, you can’t go wrong. But check the Chicco Liteway – Amazon price here. Read the full review for Chicco Liteway. The majority of umbrella strollers are as comfortable as a full-sized baby carriage but some of them are not created for infants because they do not have head and neck support. Foldable strollers are more budget friendly for sure. Keep in mind that they will last you for years. So if you are looking for a lightweight carriage that can be used on a daily basis for running errands, or you need a stroller that can fit easily into a car, umbrella strollers are the right design for you.